If you are new in the world of drum mics, you should know that acoustic drums are probably the hardest instrument to mic. The reason is quite simple. 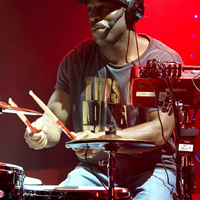 Acoustic drum offers a large spectrum of sounds, you can count on a pretty strong signal picked by your microphone. A quality microphone needs to deal with all unwanted noise and to be able to pick all the nuance and details, crucial for playing dynamics. So, let’s say that you are a drum player that has never used microphones for live performances, or you want to start recording. The most natural choice would be to pick some quality drum mic kit. These kits usually feature pretty much everything you need, including not just different types of microphones for different drum parts but also several accessories. The most important are mounting clamps of course. With them, you can easily mount the microphone on the drum and make so-called close mic. Besides easy mounting, you will need some XLR cables, which is another piece of accessories that these kits usually include. Finally, expect to get some case, where you can pack all the mics and other parts. 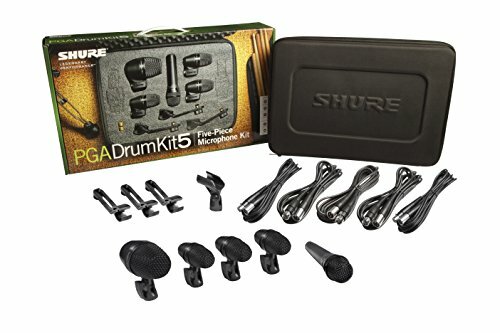 This seems like a perfect choice for someone who is a complete beginner with drum mics. Not only that you’ll get all needed pieces in a single case, but you can also count that this kit will cost you less money than if you decide to buy each piece separately. Another good thing to know is that there are different types of these drum mic bundles. If you need to mic drums for recording, you should go for studio microphones. 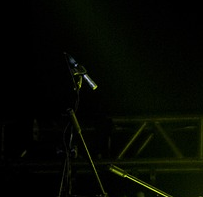 On the other side, live performance requires a microphone that will be able to deal with all the unwanted noise that comes from all directions. In this case, you should go for dynamic microphones. Once you get known with these tools better, you can start building your own kit, by purchasing each piece separately. There are tons of quality microphones designed for specific drum parts, like overhead drum mic, kick drum mic, snare drum mic, tom mic etc. These pieces usually feature much better quality compared to ones in drum kits. Of course, the price is much higher also, so you will need much more money to complete your own drum microphone kit. This is a pretty basic drum kit that comes from a highly renowned manufacturer. This kit consists of five mics with different characteristics, perfect for specific areas. You can count on three PGA56 microphones that are especially for toms and other drums. For the kick drum, you need something that perfectly collects sound from heavy bass sources, so PGA52 seems like a natural choice. This one can be used for bass amps as well. Finally, there is a classic PGA57 dynamic microphone. 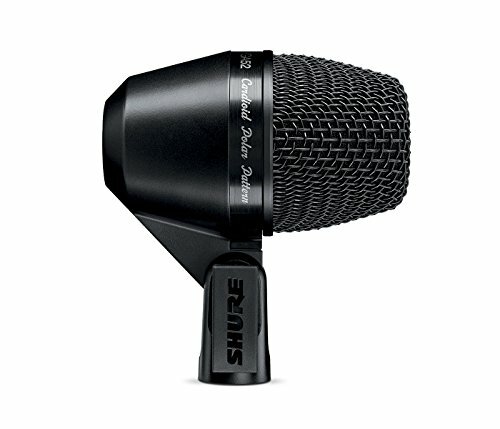 This universal microphone seems perfect for snares. Besides microphones, you can count on all necessary accessories. There are cables and mounts for all microphones, as well as a nice hard case. The overall quality of this kit seems pretty decent, while the price is relatively affordable. Definitely a great choice for beginners. 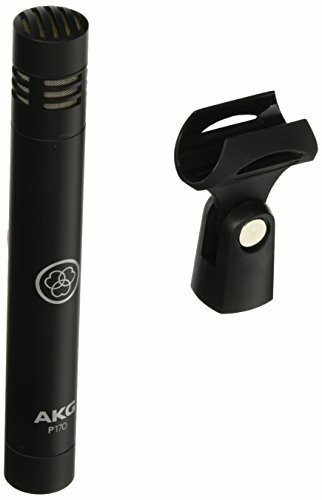 This Pyle-Pro is a great drum mic bundle for beginners. 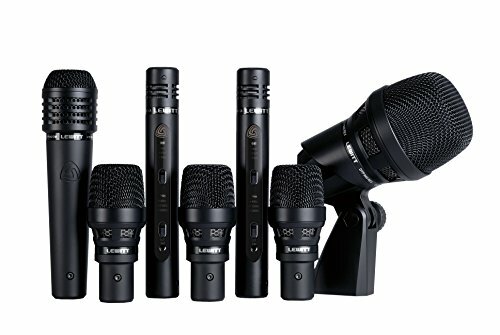 It is cheap, reliable and consists of 7 microphones. Basically, there are three types of mics in this kit. As you may presume, there is one large unit, which is designed especially for low frequencies. For snares, toms and other drums, this kit offers four smaller dynamic microphones, that can catch a pretty wide range of frequencies. Finally, you get two condenser overhead mics, which are perfect for cymbals, but vocals as well. 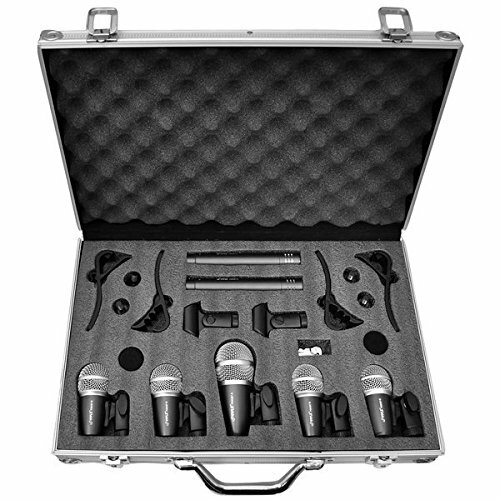 Of course, mounting systems for all microphones are included, while a fancy-looking hard case seems pretty convenient. Also, it is important to mention that all mics feature common dimensions and that can be mounted on various types of a microphone stand. The overall quality isn’t spectacular, but you must consider that this is a low-budget product, with the attractive price as its strongest point. If you’re looking for something highly professional, here is the kit for you. This is a top-grade product, which comes with 7 high-quality microphones. The most interesting piece in this kit is definitely a kick drum mic. 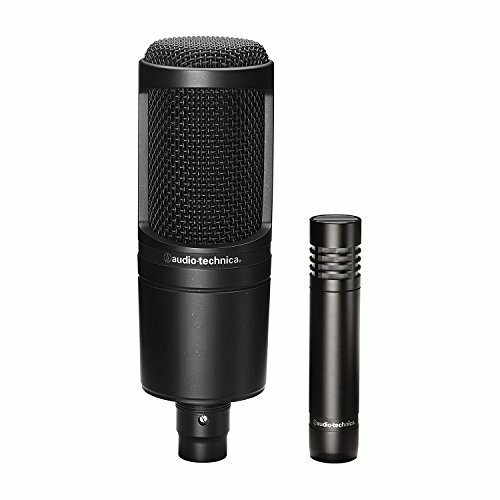 This bass mic features two capsules, both dynamic and condenser. Such design eliminated the possibility of common phase issues, while the sound quality is amazing as well. Rest of the kit is also all about top-quality mics. There are three DTP 340 TTS dynamic mics, perfect for toms. On the other side, a dynamic MTP 440 DM takes care of snares. Finally, you can count on a pair of top quality condenser overhead units, which feature cardioid capsules. Of course, mounts and case are included as well. Definitely, one of the best kits you can find around. For those who prefer building drum mic bundles on their own, the most important part of the kit would probably be a quality drum kick mic. This is the same one that can be found in the company’s PGA drum kit. It might look expensive but definitely features amazing quality. One of its strong points is a cardioid polar pattern, which deals with unwanted noise very well. When it comes to snares and toms, this is the unit you definitely need to consider. This cardioid dynamic microphone offers a great value for the money. It picks drum sounds amazingly well while keeping it clear from unwanted noise. One of its strong points is great sensitivity, which is crucial for drummers who care a lot about playing dynamics. Also, the construction of this mic is very durable, while the mounting system guarantee installation in a matter of seconds. Another amazing thing about Sennheiser E604 is that the company gives a 10-year warranty. Despite the low price tag, this condenser microphone is a decent representative of the renowned company. Thanks to its cardioid design, this unit works pretty well not just for drum overheads, but acoustic guitars and other instruments as well. It features solid metal construction and covers a frequency range from 20 Hz to 20 kHz. Moreover, it comes with a switchable 20-dB pre-attenuation pad. A great value for the price. Definitely worth of buying. There is no need for some special introduction of this highly-renowned company. Pretty much all microphones that come from this manufacturer are characterized by excellent quality. What makes this condenser microphone so special is its stand. 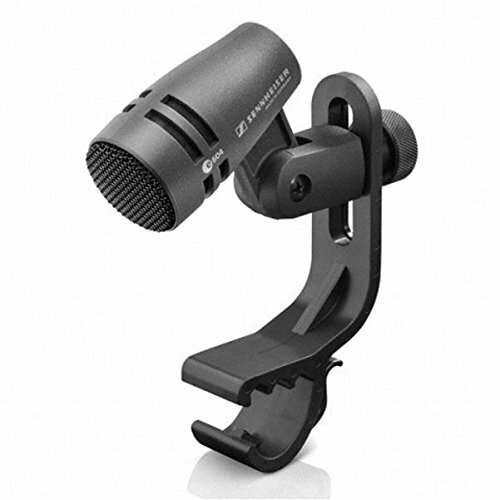 Besides amazing sound, this mic comes with a stand that can be used to mic various kinds of instruments. 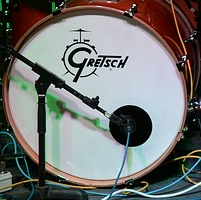 Many use this one to mic a piano but for us, it seems amazing because you can easily mount it on a hi-hat. It also works perfectly as overhead drum mic. These are some of the best and most popular drum mics that you can find around. Before you start with making your own mic bundle, be sure to identify your priorities and needs. 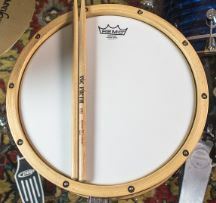 There are plenty of budget options, but on the other hand, there is a great choice of single unit drum mics for more experienced players who want to spend a bigger amount of money and get superior sound quality. In that case, a top-quality kit sounds great, but if you’re really picky about your sound, then buying single mics are the way to go. Of course, it all depends on your budget and how much money you want to spend. All in all, the drum mics on this list are all good quality ones.